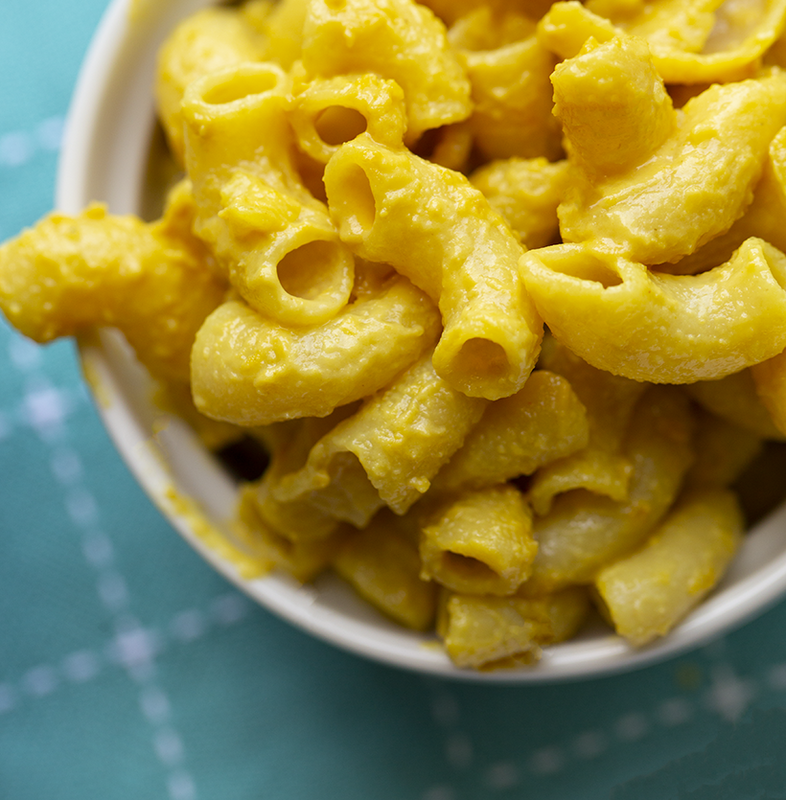 Mac and Cheese is an easy meal or side dish to crave. 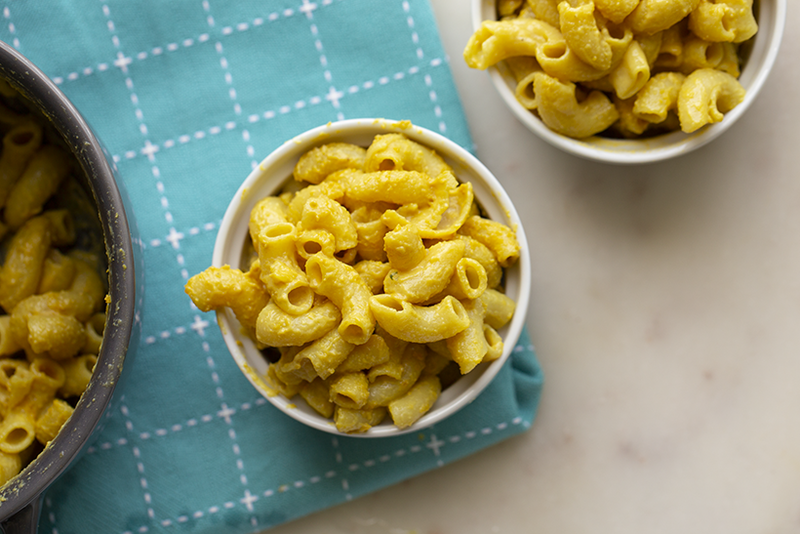 Tender, fluffy pasta, coated in a rich, cheezy sauce. Well, one day, ok ok, many days, I get lazy about making dinner. Yes, even food bloggers get cooking fatigue! And though I absolutely adore my usual cheezy sauce, sometimes I want something that literally takes seconds to make. Lazy Mac' to the rescue! Let's clarify. By lazy, I really mean BUSY. Because we all have those long to-do list days, weeks, years. No shame in 'laziness' in the kitchen. In fact, some of the coolest, most clever recipes are those super simple ones! Recipes so easy and flavorful that we can't help but make them again and again. I mean, PBJ anyone? The truth is, this recipe isn't perfect. The sauce is really more buttery and cheezy than silky. So if you just want a rich, velvety sauce, you might want to take a few more minutes and make this recipe - or the one in my cookbook, HHVK. 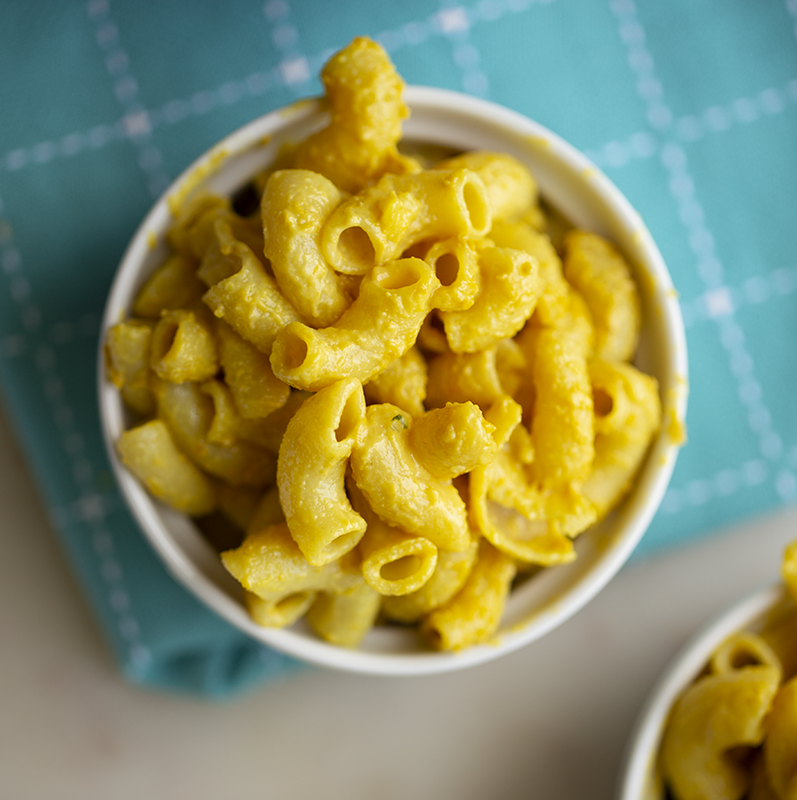 But if you just want FAST, bold, cheezy, buttery flavor - give this a try. I am super curious to hear if you love this recipe as much as we do. Leave a comment below or tag me if you give it a try! 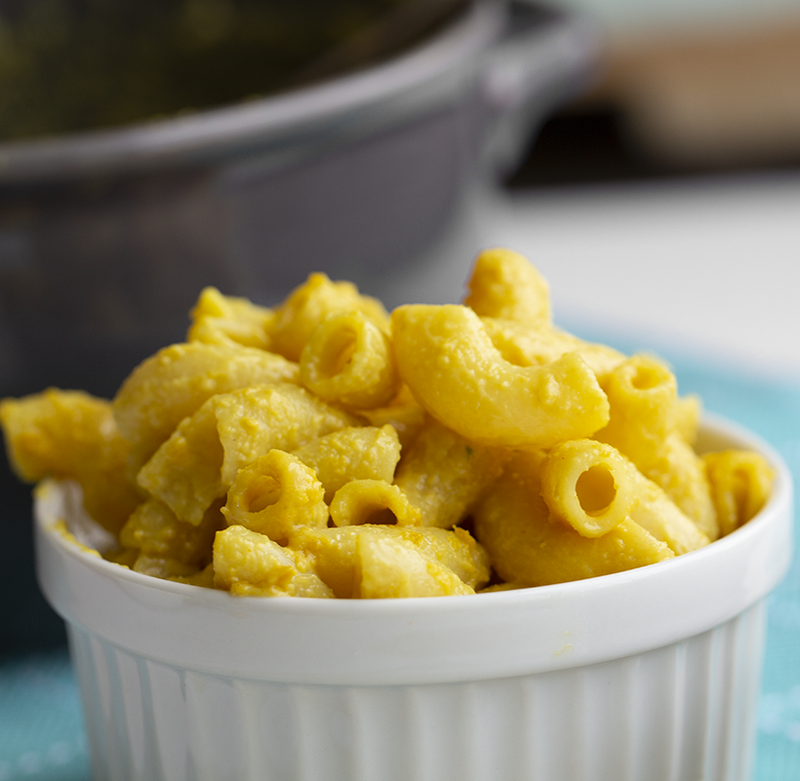 ...Lazy Mac' just may turn out to be all you need in a quick Mac and Cheese recipe! * Hot Pasta. Make sure your pasta is super hot when adding the sauce ingredients! You want the heat from the pasta to 'cook' the sauce a bit. So drain your pasta and quickly add in the sauce ingredients while things are still hot and steamy. * Buttery. 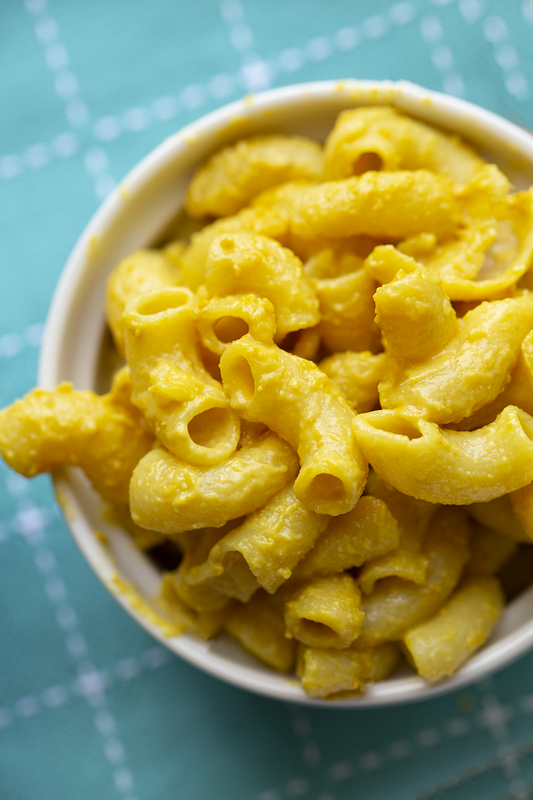 Use a vegan butter that you love the flavor of. There are a few on the market these days. I always use original Earth Balance - sticks or the tub. * Plain Milk. Use a plan or unsweetened non-dairy milk. Definitely do not use anything with a vanilla or sweet flavor. You want thing plain and creamy. Something with a rich consistency works best - no watery milks allowed! My fave brands for this recipe are Ripple unsweetened original or Eden unsweetened. Califia Farms unsweetened works well too. * Pasta. You can really use any pasta you'd like. Whole wheat, gluten free... You can even use different shapes like shells or even penne. Use what you have! Add pasta a a large pot of boiling water. Cook pasta, until tender - usually around 7-10 minutes for basic macaroni.